Standalone. Science fiction. Both things I've been craving lately. Garth Nix's first novel for older teens since ABHORSEN. Garth Nix's first standalone science fiction novel for older teens since the classic SHADE'S CHILDREN. Not many new releases have those bona fides. A CONFUSION OF PRINCES is narrated by Khemri, one of the Empire's millions of Princes. He is making a recording of the story of his three deaths, to be accessed only by a non-Prince. ("I am presuming you're not an Imperial Prince, which you'd better not be, or I'll have wasted all the careful preparations that are supposed to make this record detonate with a ridiculously large antimatter explosion if accessed by any kind of Princely sensory augmentation." p. 3, ARC) It neatly sidesteps the "as you know" problem, since Khemri's intended audience doesn't know the secrets of the Empire he is imparting. The novel begins with Khemri's coming of age. He learns, for the first time, of the vast number of Princes - and that the Princes frequently assassinate each other in order to reduce competition for the position of Emperor. He must give up his dreams of wandering about space in a ship under his command and learn to navigate a world of intrigue. Khemri could be completely unlikeable at this point, but there's a naïveté that tempers his arrogance. And yet, some of Khemri's dreams come true. When he first links to the Imperial Mind, Khemri learns that the Emperor has special plans for him. Of course, he is still too young to realize those plans might not be to his liking. But A CONFUSION OF PRINCES is not just about what it means to be a Prince. It is also about what it means to be human. At the same time, I am looking at A CONFUSION OF PRINCES through the lens of Nix's past works. He's written some of young adult speculative fiction's greatest classics. But not all of an author's books can be a masterwork. A CONFUSION OF PRINCES is quite good. Khemri's journey is fascinating. The world Nix has invented is imaginative and I loved figuring out how it worked. It may not be another SHADE'S CHILDREN, but it is better than many other books I've read lately. If you're tired of series and paranormals, give A CONFUSION OF PRINCES a chance. If you like science fiction, give it a chance. This didn't fit in my review, but some potential readers might find it useful. All Princes are ethnically ambiguous since they don't know who their parents are and grow up far from where they were born. (This is also because the book doesn't take place on Earth.) Khemri is usually described as darker, but there are a wide range of skin tones on display. While the book is all Khemri all the time, there are a number of terrific female secondary characters. Last year, I knew nothing about FALLING UNDER when I read it. I'd never heard of Gwen Hayes. I hadn't requested it for review; it just showed up on my porch one day. But I loved it. I enjoyed heroine Theia Anderson's proactivity, the strong female friendships, and the swoony romance. When DREAMING AWAKE, like FALLING UNDER, showed up randomly on my porch one day, I was surprised. I didn't think FALLING UNDER needed a sequel. Theia and Haden had saved each other. End of story. But as I read, DREAMING AWAKE convinced me that it did deserve to exist. Yes, Theia and Haden saved each other. But at what cost? Mara, Queen of Nightmares, is pissed. She was thwarted, yes, but not forever. And she wants revenge. Even without an evil, powerful queen to worry about, Theia has problems. She's no longer completely human. She has new powers and hungers she must learn to control. In addition, Theia and Haden have proved that they will go to great lengths for each other. But they're still young and newly in love. They've got a lot to learn about communication and compromise. Donny and Amelia, Theia's best friends, continue to be integral to the story. Parts of DREAMING AWAKE are even in their points-of-view. Donny and Amelia are part of what make Gwen Hayes's world so absorbing. The heroine doesn't exist in a vacuum of new boy and new powers. She had a life before Haden that continues on. It raises the stakes, as well. Theia has people to fight for outside of the world of Under. Anyway, Nic is very straitlaced. She Planned out her life and doesn't like to deviate from the Plan. And honestly, it isn't a terrible plan. She wants to make money now so that she's free to travel and see the world. However, it keeps her from noticing current opportunities. But the journal shakes her out of her rut and makes her think about those possibilities. One of those possibilities is Sean MacInnes, a Scottish rocker in town for South by (SXSW). He's charming, he cleans up well, he sings, he dances, he has an accent. It's not hard to see why Nic is attracted to him. Nor is it hard to see why he likes Nic, even though she's initially skittish about starting a relationship. She's smart, she's pretty, she can engage in witty banter. The love story was very well done. Nic and Sean date and they talk to each other on those dates. It's so simple, but sometimes romances rely too much on the wacky hijinks to focus on the basics. There's a silly misunderstanding at the end, but it didn't mar my enjoyment of AUSTENTATIOUS too much. Alyssa Goodnight definitely has a flair for romance and I look forward to seeing what she does next. AUSTENTATIOUS might not be what Jane Austen fans are expecting, but I think they can still find something to like in the story. Men in Black 2 was a disappointment. It entertained, but it was a pale retread of the original Men in Black. Now, after a long gap, there's another sequel, which just seems unnecessary. But Men in Black 3 is, surprisingly, a good movie. For those who haven't heard anything about the story yet, here's the basics. An old enemy of Agent K (Tommy Lee Jones) escapes lunar prison and goes back in time to kill K before he's arrested. Agent J (Will Smith) must then go back in time to save his partner and help his partner save the world the same way he did in the original timeline. This gives Men in Black 3 a chance to play with the dynamics of the central relationship. Even as a junior agent, K is reluctant to leave J in control of the mission. Part of its success is brilliant casting. When you think of a younger Tommy Lee Jones, Josh Brolin does not come to mind. But his Agent K is uncanny. He's got Jones's mannerisms down pat, but there's a levity and energy to his performance that reverses the passage of time. Michael Stuhlbarg (A Serious Man) plays Griffin, a fifth-dimensional being. He's constantly babbling about which future he's in and the paths people might take. This could be annoying, but Stuhlbarg (in his terrible woolen cap) sells it. He's dorkily endearing. Jermaine Clement, of Flight of the Conchords, is terrific as Boris the Animal. ("It's just Boris.") He's unrecognizable except for his deep voice, which is perfect for Boris's menacing proclamations. There are a couple of standout scenes. There's a funeral for Zed, played in the first two films by Rip Torn. Obviously Torn couldn't be in this film because of his legal troubles. K's eulogy, paraphrased, "He never told me anything and after decades I know nothing about his personal life," is perhaps the greatest compliment one man in black can give another and also hilariously brusque. There's Agent J being hassled by cops in the past. There's also Bill Hader's terrific cameo as Andy Warhol, unfortunately spoiled by the trailer. 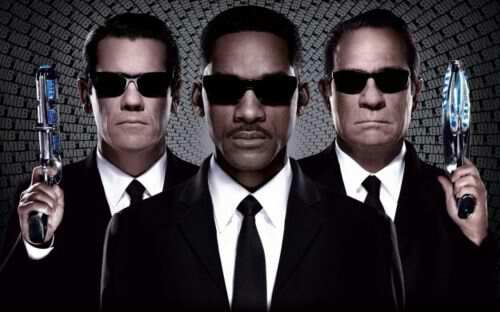 If you didn't like Men in Black, then I'd avoid Men in Black 3. (Common sense, really.) But if you did enjoy it, the new film might be a pleasant surprise. The Literacy Coalition of Palm Beach County serves both children and adults in the community. (As evidenced by the Great Grown-Up Spelling Bee.) There are a number of ways to get involved, including the standards of volunteering, donating, and book drives. Many AmeriCorps members serve in Palm Beach. The Literacy Coalition of Palm Beach County has a four-star rating from Charity Navigator. It's no secret that I'm not a historical fiction fan. I don't know why, but it's never been my first choice of genre. I still have a soft spot for the Tudors. It might be due to Carolyn Meyer and her Young Royals series. Or it could be because Hampton Court is ridiculously beautiful. If you're ever in London and have a spare day, be sure to make a trip to Hampton Court. It's not too far (you can take the tube) and it's an incredible experience. GILT begins far away from court, where Kitty Tylney and her best friend Cat Howard are mere ladies-in-waiting to Cat's step-grandmother. Cat is ambitious however, believing herself to be the true Howard in the household. She's not content to dally with Francis Dereham and be the most important girl in the middle of nowhere forever. Then she gets her chance to go to court. Kitty, unlike Cat, is happy where she is. She may not have much, aside from a flirtation with the Duke of Norfolk's steward William. But she likes most of the other girls and doesn't terribly mind her lot in life. Unfortunately, she's extremely loyal to Cat. Her loyalty is both admirable and foolhardy. Cat takes full advantage of Kitty, and Kitty knows it. But she still stands by her friend. I think that may be why I found GILT so compelling. At its heart it is the story of a female friendship, one that you would risk your life for. GILT is perfect for fans of Carolyn Meyer and Karen Cushman. It will also appeal to fans of The Tudors television show. You can take a quiz on I Heart Daily to determine whether you're more of a Cat or a Kitty. Alyson Noël made a big splash with her paranormal debut, the Immortals series. I haven't read that series, so I don't know how FATED compares. I do know that I enjoyed FATED. The opening is somewhat confusing. Daire is out with a movie star and somehow knows movie stars but isn't one herself. (She turns out to be the daughter of a makeup artist.) Then things get confusing for Daire as well as she starts to see sinister images and freaks out, as anyone would. Her visions are not nice and not even antipsychotic medicine helps. Then her paternal grandmother calls demanding that Daire come to Enchantment, New Mexico. Daire knows nothing about the Santos family since her father died before she was born. But now it is time for her to accept her family's legacy and become a Soul Seeker. As a Soul Seeker, Daire helps keep the balance of the lower, middle, and upper worlds. But there are those who wish to disrupt the balance so that they might rule. Daire is off-balance for most of FATED. She's living in one place and going to a normal high school for the first time. She's worldly, but doesn't know how to deal with the small-town lifestyle. Luckily she meets some cool people quickly. The love interest didn't quite work for me - it's very fast and there isn't much depth to Dace. He's just nice guy and it's a Romeo and Juliet situation. Whatever. I did appreciate that there wasn't a shoehorned love triangle with one guy who clearly had no chance. I liked the use of Native American traditions. It makes sense given FATED takes place in New Mexico and it gives the book something different from the other paranormals flooding the YA market. I don't know much about indigenous culture aside from some folklore, but nothing leapt out at me as being horribly racist. The love story was lackluster, but I enjoyed reading Daire's personal journey in FATED. I wouldn't say no to reading the second volume of the Soul Seekers. St. Martin's Griffin is obviously excited for this release, so if you're on the fence I recommend checking out the series website. You can also find out your spirit animal. I have tons of review copies. The library is right around the corner. 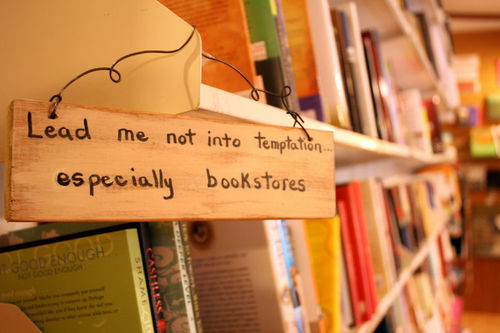 Yet, when I enter a bookstore, it's so hard to hold back. I just want to read everything. But the characters at the heart of the story, Gil Pender, Inez, and Adriana, didn't capture my heart. Inez, played by the lovely Rachel Adams, is clearly going to be dumped by the end of the movie because she doesn't see the romance in Paris and that is a cardinal sin in a film titled Midnight in Paris. Adriana catches Gil's attention when he slips into the twenties because she is played by Marion Cotillard and thus cannot be ignored. She was my favorite of the three, but she's less of a character in herself and more of a foil for Gil and the vehicle for his big epiphany. As for Gil . . . I love Owen Wilson. He's got charisma and comic timing, which are extremely important in a comedy's protagonist. But not even he could make me like Gil. Gil is the sensitive romantic, a writer longing for an idealized past. The sensitive romantic who is rude to the people who paid for his trip to Paris, reads a prospective lover's diary without her knowledge, and attempts to steal his current girlfriend's earring in order to gift them to said prospective lover. My brother-in-law is in the Air Force, so I'm particularly supportive of United Through Reading's mission. They strive "to unite military families facing physical separation by facilitating the bonding experience of reading aloud together." How do they accomplish this, you might ask? "United Through Reading helps ease the stress of separation for military families by having deployed parents read children’s books aloud via DVD for their child to watch at home." You can donate to United Through Reading online, by phone, or by mail. United Through Reading welcomes volunteers who are over 21 and familiar with military culture. United Through Reading has a four-star rating from Charity Navigator. I am suffering from paranormal fatigue. I doubt this condition will last forever as I always return to the supernatural in the end. Heck, I'm currently reading and enjoying two different urban fantasy novels. But what I've been craving is straight-up science fiction and traditional fantasy, with a side of contemporary. UNRAVELING opens with Janelle Tenner's impromptu death by truck upon leaving a party. Fortunately, Ben Michaels - a guy from school who she has pretty much never interacted with - stumbles upon her and saves her life, somehow. Please forgive me for going all FYA on you for a moment, but I have to give UNRAVELING a Roswell bonus. I loved that show and UNRAVELING's opening reminded me so much of the pilot. Soon after, Janelle snoops into her FBI agent father's work and discovers he's working to stop a countdown somehow related to gruesome deaths throughout their community. She and her best friend Alex work on unraveling the mystery, because she knows it's somehow related to what Ben did. But UNRAVELING is not content to be a straightforward action-adventure SF. Janelle instantly trusts Alex with her discoveries because he's been helping her care for her little brother. Her father is rarely around and her mother is bipolar and either off her meds or not responding to them. She's also recovering, emotionally, from being drugged at a party a year ago and waking up in a strange car with no pants. Sexual assault tends to show up in issue books or as a generic angsty backstory. It was a nice change to see it show up and be dealt with respectfully in a genre novel. Combining an issue novel with science fiction is ambitions, but Norris pulls it off. The darker truths of Janelle's life round out her character, as well as the side characters, without stopping the plot dead. And considering UNRAVELING is centered around a countdown, it's in the novel's best interest to keep things moving quickly. The second reason it works is because Norris doesn't pull her punches. This may be soft sci-fi, but it sure ain't nice sci-fi. UNRAVELING is a terrific debut and I look forward to reading more from Norris in the future. The biggest, and most pleasant, surprise was Scarlett Johansson as Black Widow/Natasha Romanoff. She's a popular actress that I've never really gotten. But she nailed every scene she was in, and she got some important scenes. She's pretty much the best superhero in a movie full of them. Ferst Foundation for Childhood Literacy gives a book a month (until age 5) to registered children in participating Georgia counties. (That's up to sixty books per child!) Currently, eighty counties (and ten communities in three other counties) participate in the program. You can learn more about how to get involved here. You can volunteer to help the Ferst Foundation for Childhood Literacy even if you're still in middle school. Ferst Foundation for Childhood Literacy has a four-star rating from Charity Navigator. Children's Book Week is almost over! It started sadly, due to the death of the legendary Maurice Sendak. I wanted to write something in memory of him earlier, but I still can't find the words. Unfortunately, my plans for this week fell through since I have several formal events to attend in real life. (This past week I have been running about getting a haircut, buying thread and fixing my dress, getting my oil changed, etc.) I also have a bit of contract work due soon and paying work comes before the blog. You can check out my Tumblr. I usually have enough time each day to detox by reblogging cool stuff. Steven Soderbergh doesn't always make critically acclaimed movies; yet, he remains a critical darling. I think it's because he takes chances with his films. He's willing to try his hand at new genres and to push at the boundaries of those genres. 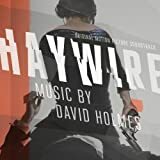 Haywire, at its core, is a straightforward revenge-driven action thriller. Mallory Kane (Gina Carano) did a job in Barcelona. Shortly after, she finds herself betrayed by her agency and pursued by assassins. But the movie begins after that, with Mallory's first contact post-betrayal with former coworker Aaron (Channing Tatum). The Barcelona and Dublin jobs fold out in flashbacks. There are moments when Haywire shines. The script is lean, allowing the images to carry the story. Most of the action unfolds wordlessly to a jazzy electronic score by David Holmes. At Haywire's release, critics made a big to do over a female action star who looked like she could actually carry out the action. Now, Carano did her time as an MMA fighter. She's got muscle, and it shows, especially in the rare scene where her bare arms make an appearance. But she's not particularly Amazonian. Her muscle is more toned than bulky. But Carano carries the physicality of the movie wonderfully. She can do her own stunts and the choreography is quite wonderful. As much as I loved the flashbacks, the framing was somewhat awkward. Mallory explains her story to a preternaturally calm kid. I'm not blaming the actor. It was a strange part, and it's for the best that the end of Haywire forgets that he ever existed. If you like action movies or any of the actors involved, I'd buy or rent Haywire. It delivers heavily on stylish, brutal, and realistic action. The story isn't ridiculously stupid and the long interlude with Mallory and Paul (Fassbender) is delightfully tense. But don't go in expecting more than a fun movie. Being slightly more clever than the average thriller does not a masterpiece make. Page Ahead is a children's literacy program located in Seattle, Washington. Their ninth annual A Taste for Reading: Benefit Luncheon for Children's Reading will be held on May 17th. The lunch is free; of course, donations are requested. Even better, donations of at least $250 will be matched. According to their site, "Since 1990 Page Ahead has placed over 2 million new books into the hands of 605,000 at-risk children through collaborations with schools, social service agencies, preschools, and early childhood centers across Washington State." You can also help by donating or volunteering. Donations do not have to be monetary. You can, for example, organize a book drive. Page Ahead has a four-star rating from Charity Navigator. Retro Friday is a weekly meme hosted at Angieville and focuses on reviewing books from the past. This can be an old favorite, an under-the-radar book you think deserves more attention, something woefully out of print, etc. Everyone is welcome to join in at any time! Angie includes roundups from participating bloggers in her post every week. Sadly, I've only participated in Retro Friday once. But that doesn't mean I don't have older books to talk about! People talk like we're living in an unprecedented age of vampire novels. But really, the vampire novel never went out of style after it was invented. The vampire young adult novel, however, is more popular than ever. Back when I was in junior high those of us who liked vampires had fewer options. And one of the most popular options was COMPANIONS OF THE NIGHT by Vivian Vande Velde. COMPANIONS OF THE NIGHT begins with Kerry's late-night quest to retrieve her much younger brother's stuffed bear. (Anyone who has spent much time with a little kid knows that favored stuffed animals are necessary to get the kid to sleep.) Thus, Kerry drives herself down to the laundromat, pretty sure it will be closed, but willing to try anyway. Strangely, it is open but no one is there. Then the owner and two of his friends return with a bound young man. They claim that Ethan is a vampire. Kerry, thoroughly assured that the local laundromat owner is out of his mind, helps Ethan escape. The next day someone kidnaps Kerry's father and brother, causing her to go to Ethan for help. Ethan is, of course, a vampire. And Kerry's about to have the adventure of a lifetime. Kerry is a terrific heroine. She's resourceful and brave, and she doesn't put up with vampires mocking her dad's old car. Ethan is charming bad news and secretive motives. (Together, they fight crime! Not really. But close.) COMPANIONS OF THE NIGHT is structured like an action movie. Two very different characters meet, then have to work together for one crazy night. There's suspense, romance, comedy, and piano. COMPANIONS OF THE NIGHT is not a complex book and there is no deep mythology. That might put some vampire fans off. But it's a shame to miss out on this one. If only because it's about a girl who repeatedly rescues dudes in distress. Please bear with me. I'm posting this press release in full rather than summarizing the beast. New York, NY–May 1, 2012– While athletes prepare for the 2012 Summer Olympics, kids will compete in their own challenge – the Scholastic Summer Challenge - a free, interactive reading program dedicated to helping kids keep their reading skills sharp throughout the summer by reading every day. Kids everywhere will Read for the World Record by logging the minutes they spend reading this summer and attempting to beat the current world record of 64,213,141 minutes set during summer 2011. The 20 schools whose students log the most minutes will be recognized in the 2013 Scholastic Book of World Records. The Scholastic Summer Challenge kicked-off May 1st at www.scholastic.com/summer and runs through August 31, 2012. The Summer Challenge motivates kids with weekly challenges, fun sweepstakes, virtual rewards, book chats and friendly competition. Starting today, kids can log their reading minutes, track their reading stats, and their school’s rank, collect virtual rewards in their ‘prize center’ and enter sweepstakes for the chance to win free books. For the third year in a row, WORDGIRL™ , from the Emmy Award winning television series airing on PBS KIDS GO!, is serving as the national “Ambassador of Summer Reading” to help encourage kids to practice reading in order to have a better vocabulary. To reach even more young readers this summer, the Scholastic Summer Challenge is teaming up with the American Camp Association’s® Explore 30 initiative that encourages campers to read 30 minutes every day. Campers nationwide will be logging their reading minutes to help break the world record. The Summer Challenge website is also the go-to summer resource for parents and teachers. Through the site, teachers can sign up their class, track their students’ reading progress and access free helpful tools including printable reading logs and reading certificates. Plus, parents can sign up to receive email alerts on their child’s reading achievements, access summer book lists compiled by Scholastic experts, and discover ways to use the Summer Challenge at home with the Family Participation Guide created in collaboration with nonprofit partner Reach Out and Read, an organization that prepares America's youngest children to succeed in school by partnering with doctors to prescribe books and encourage families to read together. For the second year, Scholastic is teaming up with iVillage and PBS KIDS to promote the importance of summer reading to families nationwide through Summer Reading Parties hosted by 80 bloggers across the country. Bloggers will receive Summer Reading Kits including books, activities, bookmarks and more to celebrate summer reading in their communities, on iVillage.com and through their blogs. Joining Scholastic to support summer reading will be dozens of the nation’s Governors’ spouses who will be hosting summer reading events at schools in their home states. The names of all of the 2012 Summer Reading Ambassadors will be announced soon. Scholastic Corporation (NASDAQ: SCHL) is the world’s largest publisher and distributor of children’s books and a leader in educational technology and services and children’s media. Scholastic creates quality educational and entertaining materials and products for use in school and at home, including children's books, magazines, technology-based products, teacher materials, television programming, film, videos and toys. The Company distributes its products and services through a variety of channels, including proprietary school-based book clubs and school-based book fairs, retail stores, schools, libraries, television networks and the Company’s Internet Site, www.scholastic.com. This meme is hosted by MizB of Should Be Reading. Grab your current read. Open it (or scroll) to a random page. Post two, non-spoilery sentences along with the title and author. Share! The living world had disappeared. Darkness fell around us, black, weightless, and absolute. We were in the Fold.